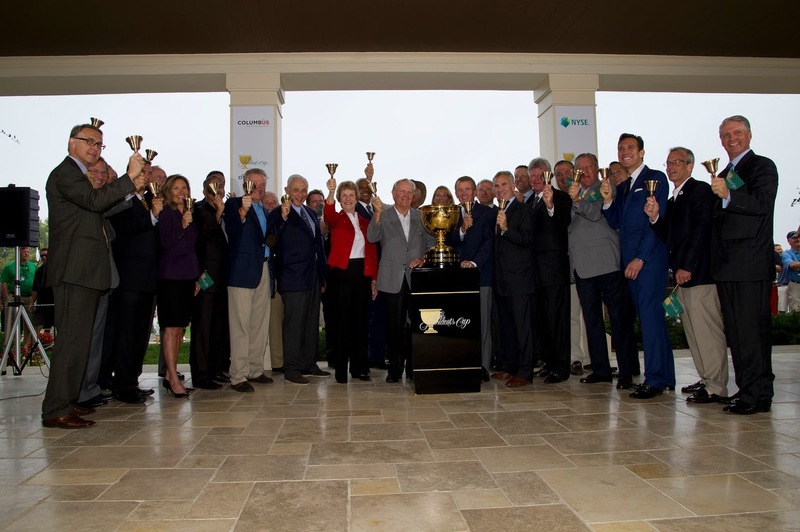 Today they rang the opening bell for the NYSE, remotely from Muirfield Village Golf Club. 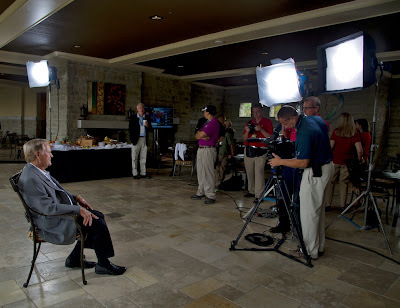 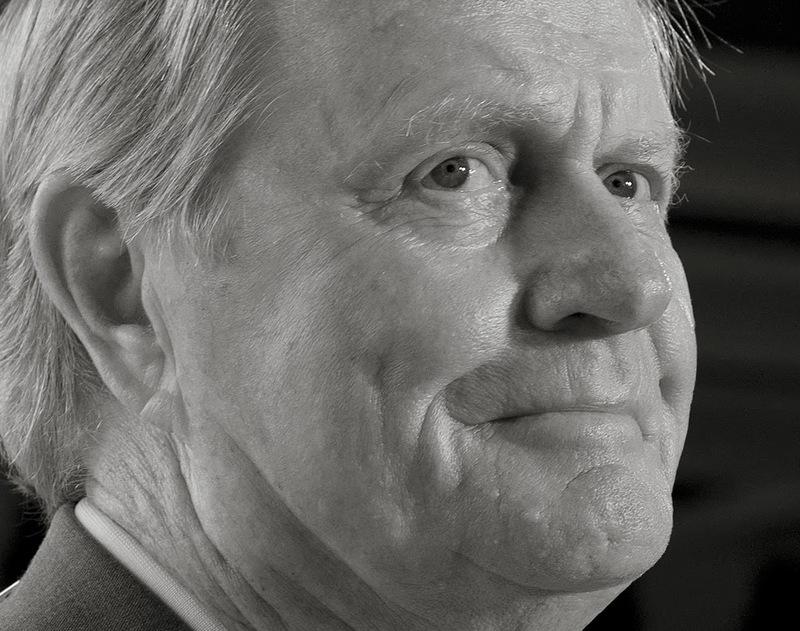 Afterward, Jack was interviewed by CNBC. 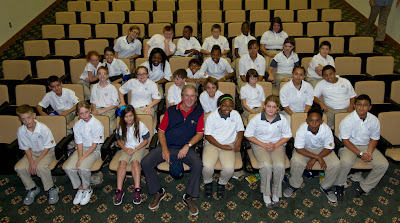 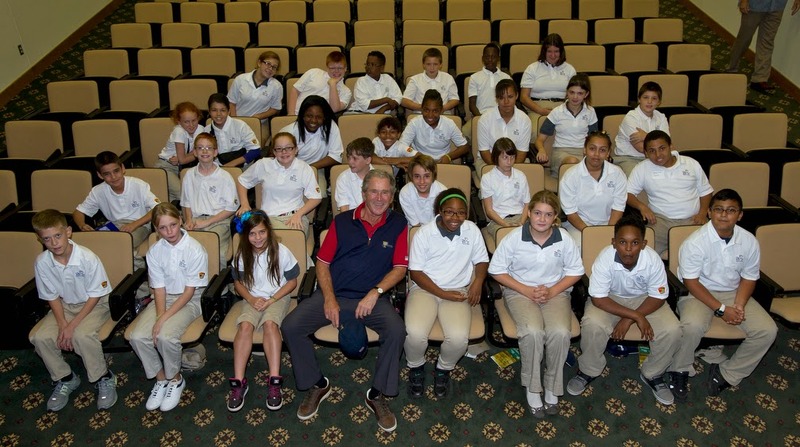 Former President George W. Bush came by the clubhouse for a photo op & to talk with kids from The First Tee of Columbus.